How can you stopdrunk driving? Educate yourself and others with these infographics. 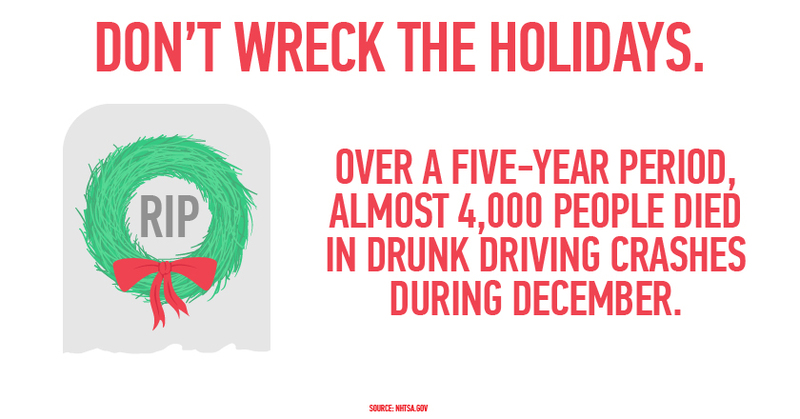 Over a five-year period, almost 4,000 people died in drunk driving crashes during December. 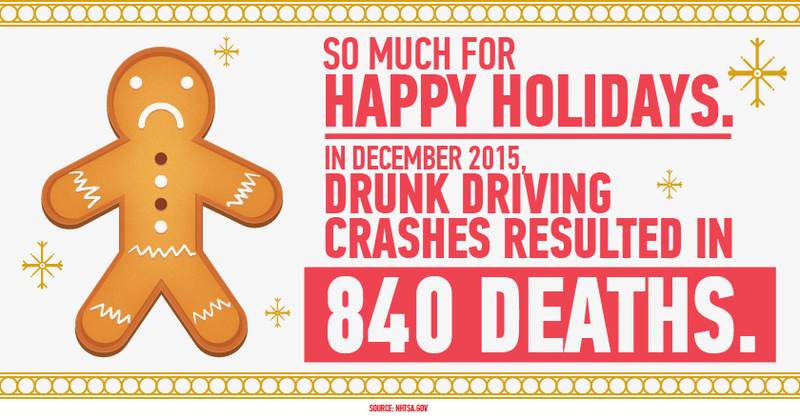 In December 2015, drunk driving crashes resulted in 840 deaths. 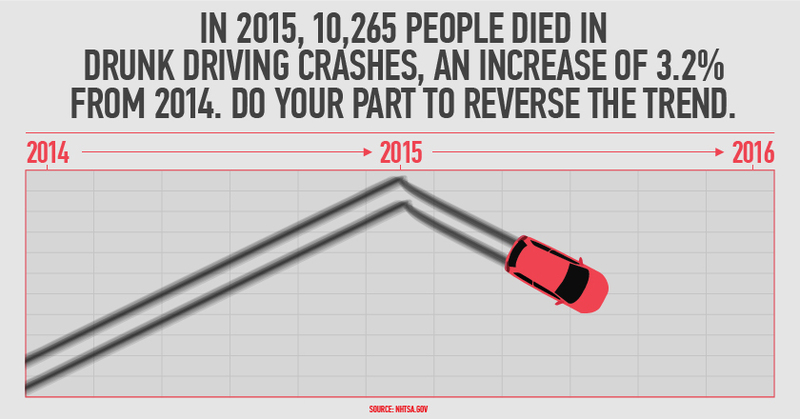 In 2015, 10,265 people died in drunk driving crashes, an increase of 3.2% from 2014. Do your part to reverse the trend. 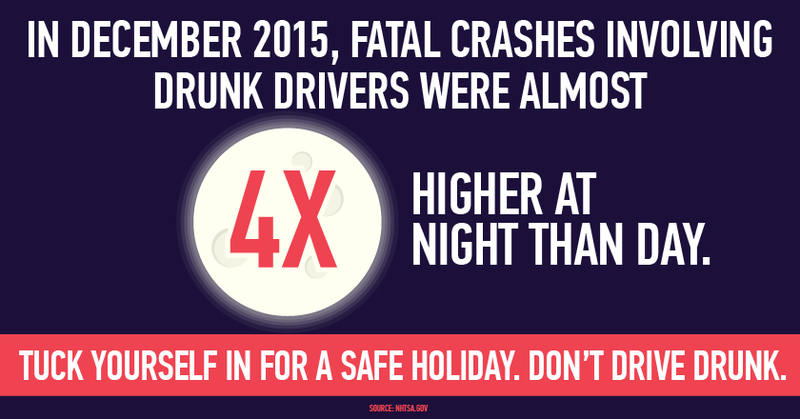 In December 2015, fatal crashes involving drunk drivers were almost 4x higher at night than day. Tuck yourself in for a safe holiday. Even kids aren't safe. 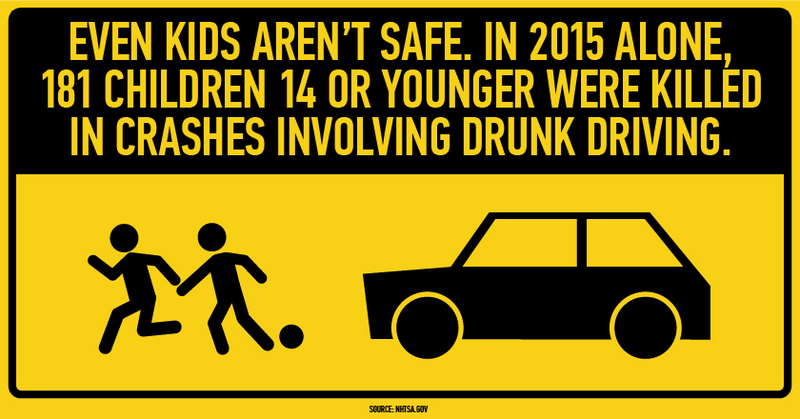 In 2015 alone, 181 children 14 or younger were killed in crashes involving drunk driving.